Many people have a slant on what D. H. meant with this quote, due to his type of writing, but only he can give us his exact thought, and that’s not going to happen as he has passed on. Whereas E. L. Doctorow who is known for historical fiction said, “Writing a novel is like driving a car at night. You can only see as far as your headlights, but you can make the whole trip that way.” This one we definitely understand what he is saying. One is giving you advice, don’t try to nail everything down and the other is telling you it’s okay if you don’t have everything nailed down, you’re still going to arrive. Let’s face it, each writer either has found a way that works for them in their writing or they are working on finding a way. Some writers spend hours working on an outline, months researching, and at the end of the year, they find they’ve not written anything. Other writers spend very little time researching, have no outline, just put words that come to them on paper and at the end of 80,000 words call it a novel. However, it may just be words, discombobulated thoughts on paper. Both of these are extremes. If your story requires research, be sure and do it. The book you are writing should dictate the amount of research you need. 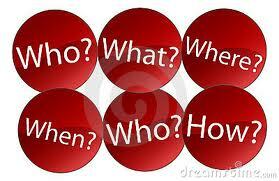 The outline, can either be a formal one or it can be notes made to yourself on the ‘who, why, where, when and how’. Maybe you are better picking the subject, or maybe the characters or a topic. Whichever, you must determine how far down that road the headlights need to shine and how much you want to nail down.